Earlier this week, I was searching for the recent Charlie Rose interview with Peter Lynch and stumbled across an incredible 1990 interview that featured both Peter Lynch and Sir John Templeton. As you can imagine, there are a number of great quotes from the interview and some of the investor concerns at the time -- high government debt, weak leadership in Washington, etc. -- reminded me a lot of today. The audio/visual is a bit grainy, but I'm just happy someone had the foresight to record this on VHS and then was gracious enough to share it on YouTube. It's well worth a watch. What I was originally after when searching for the Charlie Rose/Peter Lynch interview was the following quote from Lynch about investing for multi-bagger opportunities (i.e. stocks that go up many-fold in value). You want to get in in the first, second, third inning, not when they're drawing up the line-up...you could have bought Wal-Mart 10 years after they went public and they would have went up 50 fold. In the 1990 interview, when asked how investors should begin to research stocks, Lynch said investors should first make sure the company has sales and profits. The audience laughed, but Lynch was half-serious. Too often investors are after the "next big thing" when they're investing in small companies -- whether it be renewable energy, e-commerce, cloud computing, etc. -- and don't check to see if the company with a great story also has a viable business model. There's no point in investing in any company before it's proven its strategy. To Lynch's second point, even if you recognize the company's promising business model a few years late, as long as the company continues to have a long growth runway, there's still an opportunity to buy. This is something that I myself need to put into practice. I've watched a number of promising companies -- Tractor Supply in early 2009 being the most prominent -- run away from me after I did all the research but missed the original opportunity and thought I'd missed the boat. Great companies with long growth runways don't come along often. If you think you've found one early in its growth cycle, don't be afraid to take a chance. My best stocks have been the third year, the fourth year, the fifth year I've owned them. It's not the third week, the fourth week. People want their money very rapidly, it doesn't happen. It's easy to get this point confused in markets like we've had over the last two years where volatility has been low and stocks only seem to go up. I think this is part of the reason that retail investors are only now coming back into stocks following the financial crisis -- they see easy money being made and they don't want to miss out. 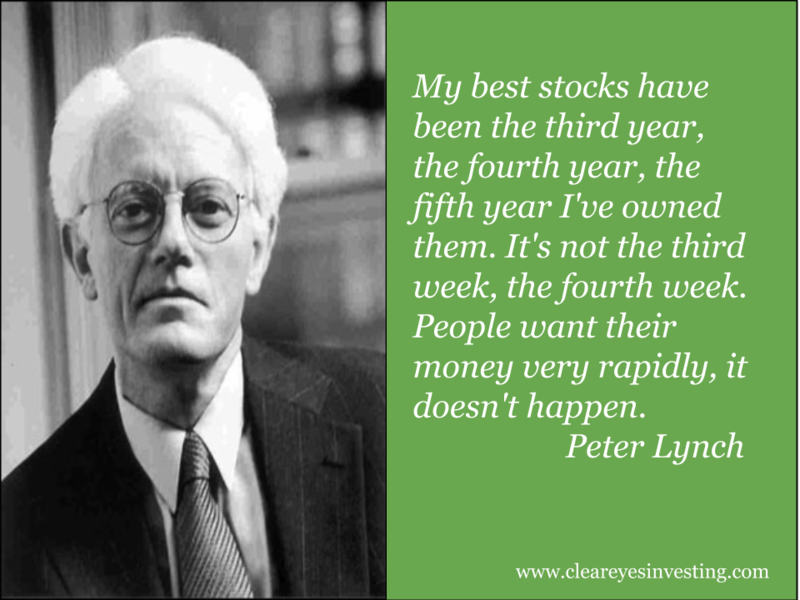 If you want to benefit from a multi-bagger investment, it's absolutely essential to be patient and expect to hold for a number of years. Some investors will prefer to avoid swinging for the fences and focus entirely on getting base hits, and that's totally fine. If you are going to swing for the fences, however, Lynch's three-pronged strategy for multi-baggers is the best approach in my opinion. Will Lynch's strategy always work out? No, not always, but one early investment in a Wal-Mart, Apple, etc. that was patiently held could have more than made up for the investments that didn't go to plan. Something to keep in mind. Most dividend strategies focus on larger firms with good balance sheets and a long track record of making uninterrupted and rising dividend payouts. Assuming you pay good-to-fair prices for stocks that fit these criteria, you can most certainly build a solid income-producing portfolio. The problem is that such companies -- the “aristocrats” or “achievers” as they’re often called -- are a relatively scarce asset. Think about it -- a teenager might be able to build the next great app or social media platform, but it will likely take decades of success before that company is able to generate consistent free cash flow. The Pfizers, Kimberly-Clarks, and Diageos of the world were not built overnight. Thousands of companies are listed on the U.S. market, but only 54 companies are included in the S&P 500 Dividend Aristocrats (25+ years of consecutive dividend increases), 85 companies are held in the broader SPDR S&P Dividend ETF (25+ years of consecutive dividend increases), and 212 are held in the PowerShares Dividend Achievers ETF (10+ years of consecutive dividend increases). Given the limited supply of such companies and the added interest in higher-yielding stocks over the last three years, finding values in this space has been understandably difficult. So if you’re looking for new dividend ideas in today’s market, or in any market for that matter, don’t forget to search for companies in these four areas, which typically don’t show up in common dividend screens. I realize this is borderline heresy in the income investing world and I’ve generally guided against investing in firms that have cut their dividend payout within the last five years, but it’s worth investigating each cut on a case-by-case basis. Why did the company cut its payout? If it was one of the 1,000+ U.S.-listed companies that cut their dividend during the financial crisis, for example, there may have been a genuine concern for liquidity following an ill-timed acquisition or investment made in 2007 or 2008 that leveraged the balance sheet at the wrong time. In other words, the decision may not have been based on the board’s long-term outlook but on a short-term concern. Dow Chemical and General Electric, for example, have more than doubled their payouts post-dividend cut, and though they have yet to fully rebound to pre-cut levels, investors who bought after the cut certainly aren't complaining today. While most dividend cuts come after a sustained period of poor operating performance, some firms slash their payouts ahead of poor operating performance or if there's a need to retain cash for reinvestment needs. A significant number of dividend omissions are actually good news, signaling a turnaround in the fortunes of the omitting firms after a period of poor performance...we find that good omitters have stronger fundamentals at the time of omission - they have higher profitability and lower levels of debt overhang. Of course you want to avoid owning a stock prior to a dividend cut, but once the deed is done, there's no harm in having a look. The key is to determine whether or not the underlying business remains solid (i.e. does it have a moat?) and if the lower dividend payouts can actually improve the business's fortunes. An indebted company that’s currently in a deleveraging process may not pass dividend screens that have low-debt requirements. If the company is generating large amounts of free cash flow, however, it may reallocate that free cash toward dividend growth once the deleveraging process is complete. When considering a dividend-paying stock with above-average debt, have a look through the company’s recent filings, conference call transcripts, and presentations to determine if it’s aggressively reducing debt at the moment. If the company is struggling to pay down debt, pass on the idea, but if it is paying down debt and approaching its target leverage ratios, it may be primed for dividend growth in the near future. A good number of dividend strategies prefer larger stocks due to their perceived safety (i.e. more financial resources and lower chance of going bust) and avoid smaller cap firms when searching for ideas. While I wouldn’t advocate a dividend portfolio consisting solely of small caps, there are plenty of smaller firms with good competitive positions, solid balance sheets, and a distinguished dividend track record that I would consider just as steady as large firms. Plus, small caps often have longer growth runways than their larger peers. As such, they shouldn’t be overlooked. Screens that require a long dividend history won’t pick up recent spin-offs, yet these can be great opportunities -- not just on a dividend basis, but also on a value basis as they tend to have less initial analyst coverage and institutional interest. Lists of upcoming and recent spin-offs are easily found online (here’s one). Not all spin-offs make for good dividend holdings, so I suggest focusing on the parent’s dividend record and philosophy, the composition of the new board (are they from the parent company? ), and the new company’s recent free cash flow history. To illustrate, when Philip Morris International was spun-off of Altria in early 2008, it began trading with a dividend yield near 4% and has since more than doubled its payout. With hindsight it's easy to see that PMI was an attractive idea, of course, but it didn’t take a great leap in logic at the time of the spin-off to conclude that despite the new company’s lack of dividend history that it would likely follow its parent’s philosophy about raising dividends (Altria has increased its dividend 47 times in the last 44 years). The secret is out about high quality large caps with long dividend track records and there simply aren't enough of them to buy at good prices today. 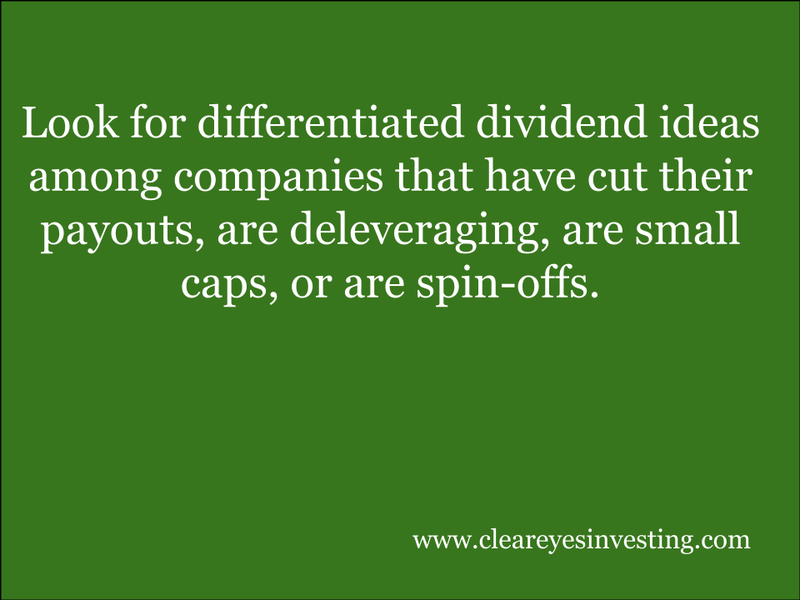 If you want differentiated dividend ideas and want to achieve differentiated results, don't forget to comb these four areas of the market. Farming looks mighty easy when your plow is a pencil and you're a thousand miles from the corn field. - Dwight D. Eisenhower. 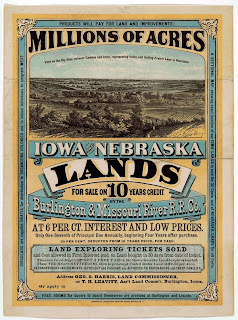 On Thursday evening, I was watching a Ken Burns* documentary on the Dust Bowl (boy, if that doesn't show you how cool I am...) and learned how "suitcase farmers" contributed to the ecological disaster. As I watched, I couldn't help but draw some parallels to investing. 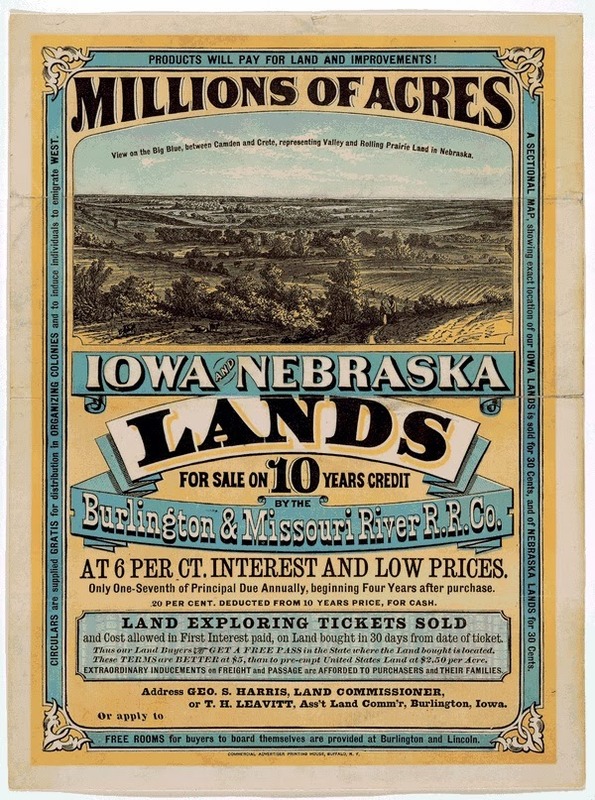 A little background on suitcase farming: In the 1920s, soil in the Great Plains was so fertile, wheat prices were so high, and credit was so easy that city folk would pack a suitcase, board a train, buy a tract of farmland, plant wheat (with no regard to sustainable farming practices), and head back to the city only to return at harvest time. They were literally sowing the seeds for the ecological disaster that followed. Now, put yourself in the shoes of these suitcase farmers. They must have thought, "I'm not sure why farmers have been complaining for generations and generations about farming behind hard. Plant a seed, let it grow, sell for a big profit. This is easy!" Easy money can be made in difficult industries from time to time, but it doesn't remain easy forever. Everyone's a "long-term investor" when the market is going up. You see who really means it when the market is down. I remember writing this tweet out of some frustration. Have you noticed that during the market's strong run, there have suddenly been more buy-and-hold investors? Where were all these people a few years ago? "Three weeks ago, I would have said: 'We're in it for the long haul' ... But we don't want to see these $200,000 to $300,000 swings in performance in a $5 million account." In an article I wrote at the time ("Equities Are Dead. Again. "), I highlighted a Prudential Financial survey that found 3 of 5 individual investors have lost faith in the stock market, with 44% saying they'll never invest in stocks again. I don't want to come down too hard on investors that thought this way at the time. It's not easy investing/managing money in challenging markets and, hey, the market could have fallen further and they would have looked smarter than us in the shorter-term. "There might be small corrections here or there, but [the market] always seems to spring back up." "Frankly, from 2009 until recently, I wanted to stay very conservative, (now) I want to get more aggressive." "It's like, 'Oh, why were we so pessimistic back then?' That kind of remorse never feels that good." Friends, I have no idea where the market will end up in 2014. I've heard compelling arguments made by bulls and bears alike. What really concerns me is the optimistic shift in the average investor's opinion of equities. Whether you study market history or suitcase farming, when expectations of easy profits are this high, it's a good time to be vigilant. *I absolutely adore Ken Burns' documentaries. The Civil War and Baseball are masterpieces.